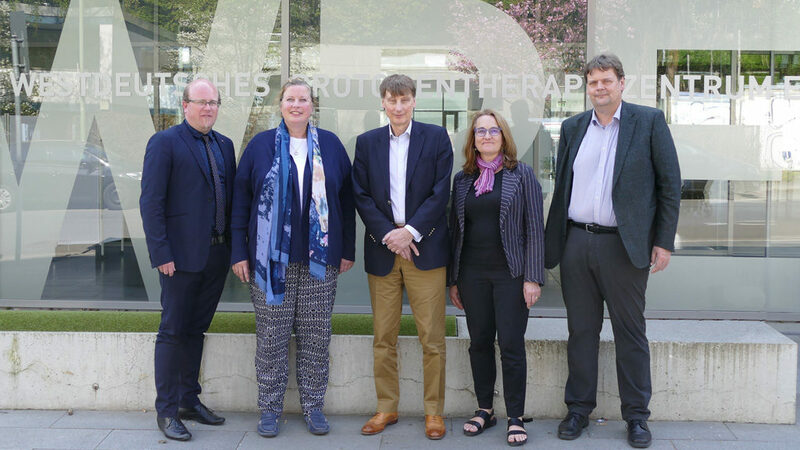 The West German Proton Therapy Centre Essen (WPE) at the University Medical Centre Essen is delighted to provide Proton Beam Therapy services while two new PBT centres in England prepare to come online from later this year. “We are very proud to have been awarded the contract. NHS England is benefitting from our large network of experts and our expertise in the field of proton therapy, in which we can contribute our experience as the largest European radiotherapy centre for childhood and adulthood cancers,” enthuses Prof. Dr. Beate Timmermann, Medical Director of the WPE and Director of the Clinic for Particle Therapy at the University Hospital in Essen. “The cooperation has started very well. The first patients from Great Britain are already with us and will be treated “, continues the expert for radiotherapy, brain tumours and sarcomas in childhood and adulthood. Last summer, NHS England issued a Europe-wide call for tenders for the proton therapy of children and young adults with CNS tumours and sarcomas, i. e. malignant tumours of the brain, spinal cord or bone and soft tissues. So far, many of the affected children and adolescents have been treated in the US but Britain’s first NHS high energy proton Beam therapy centre in the UK will open this year in Manchester The WPE at the University Medical Centre Essen prevailed in the competition against the competitors from Germany and other countries and was the only candidate who wins the contract. The WPE is now an official cooperation partner of NHS England. An important award criterion was the experience and interdisciplinary structures in the complex treatment of children. The WPE scored points in this respect: In 2017 alone, more than 200 patients under the age of 18 were treated in the WPE, the largest European radiotherapy centre for children. In particular, the WPE offers treatments for very young children who have to undergo irradiation due to their age in sedation. The WPE is also technically well equipped, which enables highly complex treatment of the entire central nervous system (craniospinal axis) with protons. In 2017, almost 30 percent of the children came from abroad, from a total of 20 countries. “The tender won is a very special award for the entire team led by Prof. Dr. Beate Timmermann. The WPE, together with the other experts from the University Medical Centre Essen, in particular the Paediatric Clinic, Neurology and the Clinic for Neurosurgery, was able to present itself in an optimal way and thus win the tender. The transnational partnership once again confirms the lighthouse character of the WPE, not only for the University Medical Centre Essen and the state of North Rhine-Westphalia, but now also throughout Europe,” emphasizes Prof. Dr. Jochen A. Werner, CEO of Essen University Medicine. Proton therapy is an innovative radio-oncological procedure. It enables particularly precise irradiation of deep-seated tumours by protons. The protection of healthy tissue around the tumour is made possible by the high precision of the procedure. This opens up opportunities for the avoidance of long-term damage and secondary tumours, which offers a crucial long-term advantage, especially for children and adults. Currently, the average age of patients in WPE is almost 16 years. As part of the further construction of the facility, the proportion of adults in this competence centre for proton therapy will also continue to increase. 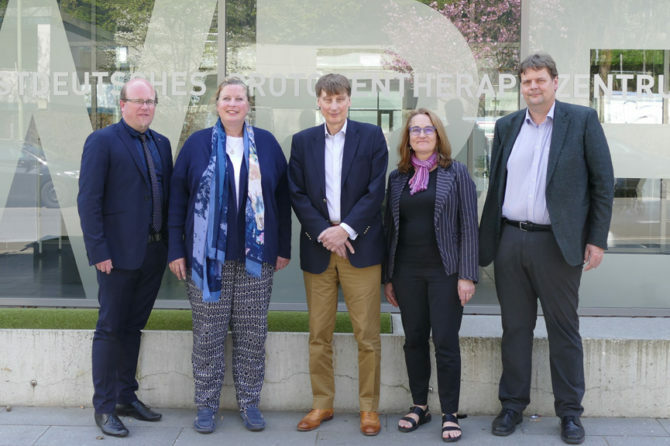 In addition to the continuous further development of therapy technology, there is also extensive accompanying research at the particle therapy clinic of Prof. Dr. Beate Timmermann in cooperation with the other clinics and institutes of the University of Duisburg-Essen.